JACK CROMPTON. 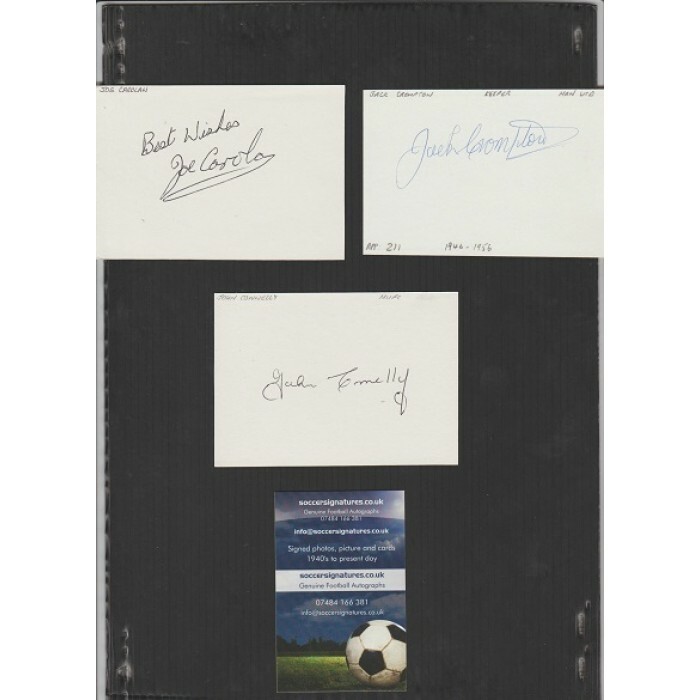 This is a credit-card size plain WHITE card with a genuine hand-signed autograph of JACK CROMPTON the former MANCHESTER UNITED footballer. Cards such as these are great for framing with an unsigned photo of the player. JACK CROMPTON played 191 league games for United from 1946 to 1955. He was their goalkeeper when United won the 1948 FA Cup Final beating Blackpool 4-2. Sadly Jack Died on the 4th July 2013. RARE ITEM. GREAT PIECE OF MUFC MEMORABILIA. The soccersignatures system will ask you to pay £2.69 for postage. Please pay this and I will refund £1.50 as this item will cost less to post.